A few weeks ago, I’d say this was just one of those games. Every team gets blown out a few times a season. I can’t say that in mid-September though. The Yankees are fighting for a postseason spot and they just got their clocks cleaned by a team 12 games under .500. 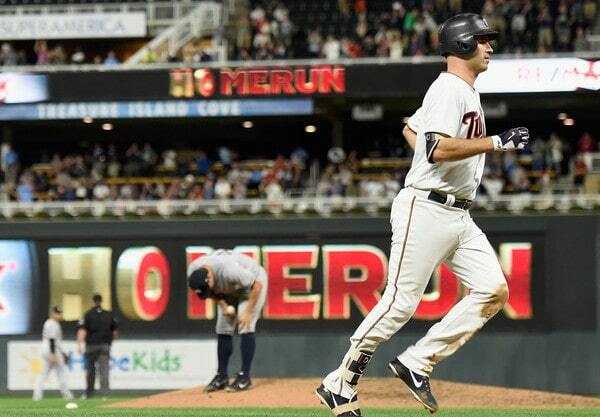 The Twins won Tuesday night’s game 10-5. This loss combined with the Athletics beating the Orioles means the Yankees now only have a two-game lead for the top wildcard spot. It is effectively a three-game lead because the Yankees hold the tiebreaker, however. Still, three games up with 17 to play is a little too close for comfort. 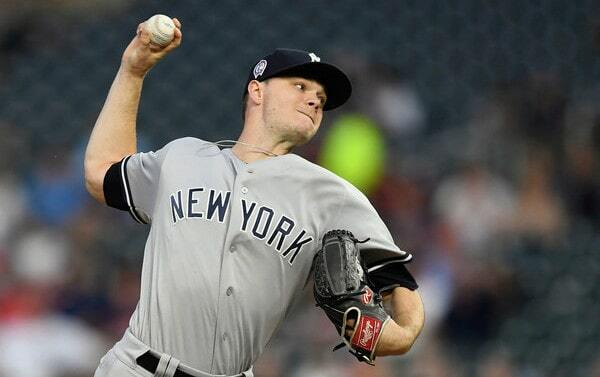 Typical Sonny Gray start, which means bad. Gray retired the first five batters he faced before loading the bases with two outs in the second. Single up the middle, bloop single just inside the right field line, walk. When Sonny falls apart, it happens quickly. Gray was able to get No. 9 hitter Willians Astudillo to ground out to end that second inning, so no damage was done after the bases were loaded. Much different story in the third inning. Joe Mauer worked a five-pitch leadoff walk and then Jorge Polanco poked a single back up the middle. That’s when I thought Gray should’ve been out of the game. Five of the last six batters had reached base and he hasn’t earn the “let’s give him a chance to right the ship” leash. Plus there are like eleven guys in the bullpen. Instead, Gray remained in the game, and another walk loaded the bases. Bases loaded with no outs! Fun. To Gray’s credit, he struck out Robbie Grossman on three pitches and got ahead in the count 0-2 on Jake Cave. Rather than put Cave away, Sonny bounced two pitches to even the count 2-2, and his third pitch was an elevated fastball that clanked in and out of Austin Romine’s glove. He called for the high fastball and got the high fastball, but couldn’t catch it. 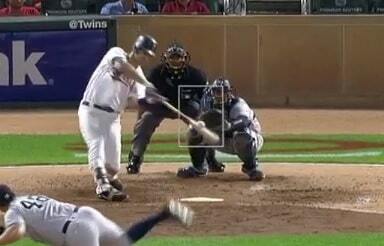 The ball got away and Mauer trotted home to tie the game 1-1. The passed ball moved both batters up, and the next pitch was a badly hung curveball that Cave drove back up the middle to score two runs. After Gray struck out Grossman and got ahead 0-2 on Cave, I foolishly thought he might get out of it unscathed. Strike out Cave then get the third out however. That’s what I get for being optimistic. Seven of nine batters reached base against Gray at one point, and somehow he remained in the game to face another two batters after that. Gray’s final line: 3 IP, 4 H, 3 R, 2 ER, 3 BB, 2 K on 63 pitches. With a Game Score of 40, this was only Sonny’s tenth worst start of the season. He’s been terrible and he shouldn’t start any more games, at least not until after the Yankees get some things clinched. Gray shouldn’t pitch in anything but emergencies until then. I feel like the Yankees should’ve known this by now. Can’t believe he was left in to complete the third inning after loading the bases with no outs. In fairness to Gray, the bullpen was no better. Jonathan Loaisiga was the first man out of the bullpen and wow was he left in to wear it in the fifth. Walk, single, walk to start the inning. Bases loaded with no outs again. And again, the struggling pitcher was left in. Loaisiga walked Max Kepler to force in a run — it was his third walk of the inning — then struck out Ehire Adrianza, and then allowed a bloop single to Astudillo to give the Twins 6-1 lead. Let me go over this again just so it’s clear: Gray loaded the bases with no outs in the third inning and stayed into face four more batters. Loaisiga loaded the bases with no outs in the fifth inning and stayed in to face three more batters. I just do not understand. And because leaving struggling pitchers in long enough to blow a game in a postseason race isn’t bad enough, Loaisiga was left in to throw 47 pitches to get four outs one month after returning from a shoulder injury. He threw 27 pitches to get one out in the fifth inning. Negligent. I suppose the good news is none of the pitchers who pitched Tuesday will be on the postseason roster. Gray (three runs in three innings), Loaisiga (six runs in 1.1 innings), Kahnle (one run in 1.2 innings), and Stephen Tarpley (two scoreless innings) all pitched. Poor Johnny Lasagna. He went into this game with a 2.70 ERA and left with a 5.06 ERA. Now everyone who looks at his Baseball Reference page in the future will think he stunk this year. He wasn’t good Tuesday, but the long leash and Kahnle didn’t help. The Yankees scored first in this game! Didi Gregorius lined a single to center field in the second inning that Cave played into a triple. He took kind of a weird route and the ball rolled by him. Gary Sanchez got Gregorius home with a sacrifice fly for a 1-0 lead. After the Twins took a 3-1 lead, the Yankees loaded the bases with one out in the fourth, but Sanchez banged into an inning-ending double play. Three double plays in the first five innings for the Yankees. So annoying. By time the Yankees got around to scoring again, it was too little, too late. Andrew McCutchen’s leadoff walk, Miguel Andujar’s one-out single, and Giancarlo Stanton’s one out walk loaded the bases in the sixth inning. That’s when Sir Didi cranked a grand slam into the right field overhang. Suddenly the 10-1 deficit became a 10-5 deficit. Second grand slam of the season for Gregorius. He hit both of them against the Twins.
? This was the sixth time in history the Yankees and their opponent hit a grand slam in the same game. It happened as recently as last year, in that 9-1 comeback against the Orioles. Mark Trumbo and Jacoby Ellsbury socked four-run homers in that one. Prior to that, you have to go back to Alex Rodriguez and Jorge Velandia in 2007 for the last time it happened. Hitting a grand slam and losing always stings. Feels like a waste. Also, Didi’s grand slam is a nice little reminder that sticking with a struggling pitcher after he loads the bases with no outs is a terrible idea, especially with expanded rosters. Aaron Boone did it twice! Jonathan Holder warmed up in the third inning and never pitched. The Yankees are never out of a game when they’re down three or four or five runs because they can hit the ball out of the park. They can put runs on the board in a hurry. Example: The sixth inning. I know you can’t use your ace relievers every night. You also can’t treat these games like a run of the mill midseason contest. That time has come and gone. Only five base hits for the Yankees. A single for McCutchen, two singles for Andujar, and a single and a triple for Gregorius. The Yankees did draw five walks. McCutchen had two, Stanton had two, and Gregorius had one. The 6-7-8-9 hitters went a combined 0-for-12 with four strikeouts and a hit-by-pitch. Not much else to say here. The rubber game. That’s another 8:05pm ET because the Yankees don’t get getaway days. Luis Severino and Jake Odorizzi are the scheduled starters for Wednesday night’s finale. That’s as good a time as any for Severino to have his first dominant start in two months.